Earlier I have discussed about photoshop custom shapes and I have provide download link for photoshop custom shapes. 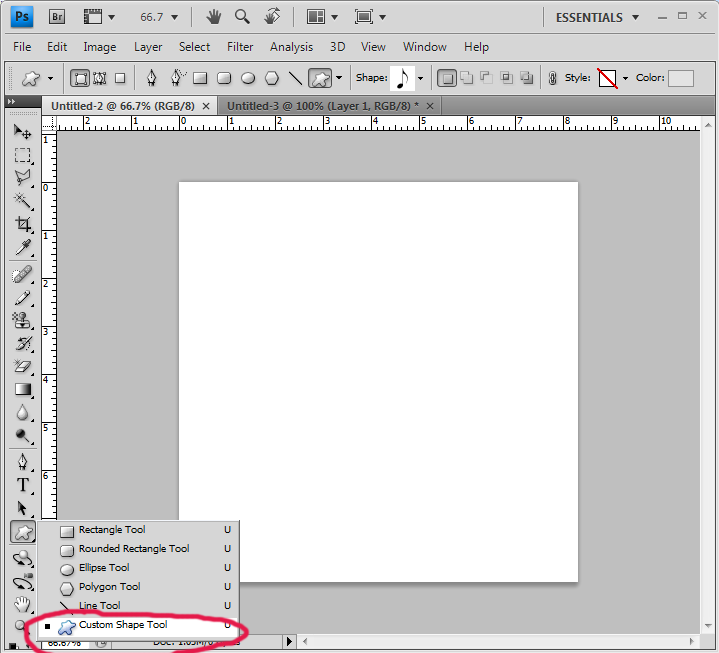 In this post i will tell you how to install custom shapes in photoshop. This is really a simple task. You just neet to follow the following steps and you can use custom shapes easily. 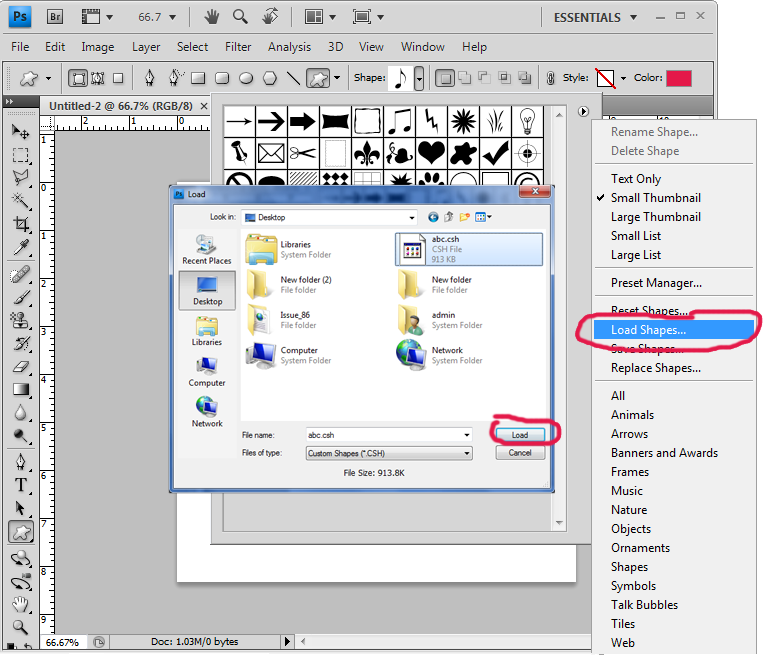 Step 2: Select custom shapes tool from toolbar. 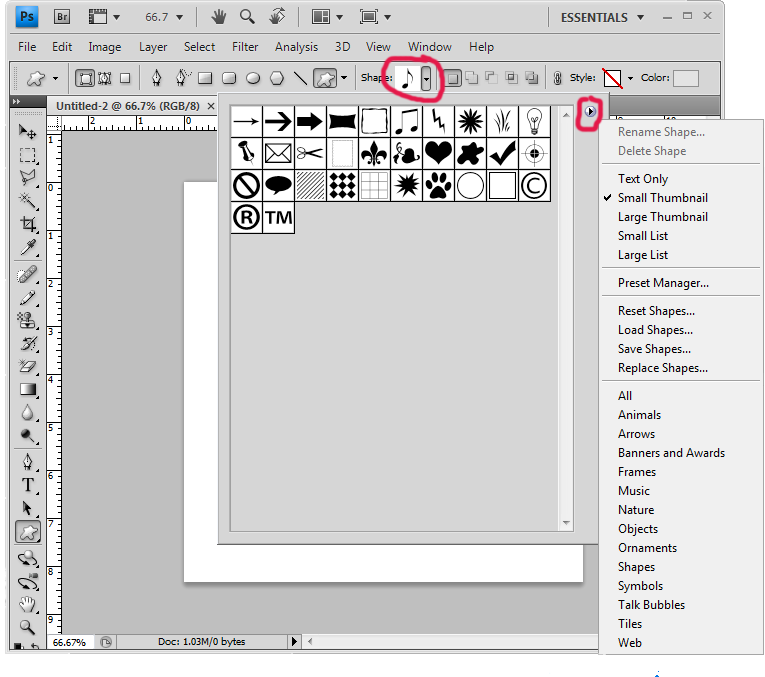 Step3: select shapes from toolbar on the top and a shape box will open. Now click on small arrow on the right top corner of box. Step 4: now select load shapes option from the list and new window will be open. Now select the file which you have downloaded. And click on load button. The shapes will be added to your photoshop.